Reading. Something that is definitely becoming super popular at the moment especially over the last couple of years I've noticed. When it came to the end of last year and people creating their New Year's Resolutions one thing that seemed unanimous across the board was people agreeing to read more. Me included. I've always enjoyed reading and I'm one of those people who has piles and piles of books around every corner of the house. I can't even walk into a bookshop without picking up a new book. 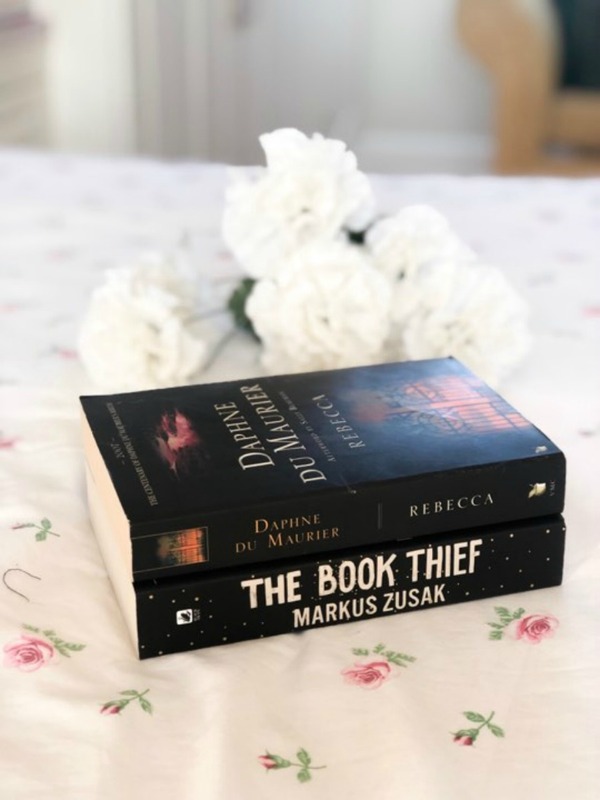 Today I thought I'd do a quick little post and tell you all a little bit about my two all time favorite books that I think everyone should have on their list this year. I hope you enjoy this post. This book is definitely my favorite ever book and definitely something I think everyone should read. I was introduced to this book by my Dad when I was about 14 years old and it's a book that I read over and over again every year without fail. The main heroine of Rebecca believe it or not isn't Rebecca. Kind of a spoiler there but the main heorine is a lady's companion who eventually learns her place. Set in the South of France at the beginning the heroine meets Max De Winter, a widower also on vacation who takes the heroine by surprise when he suddenly proposes. 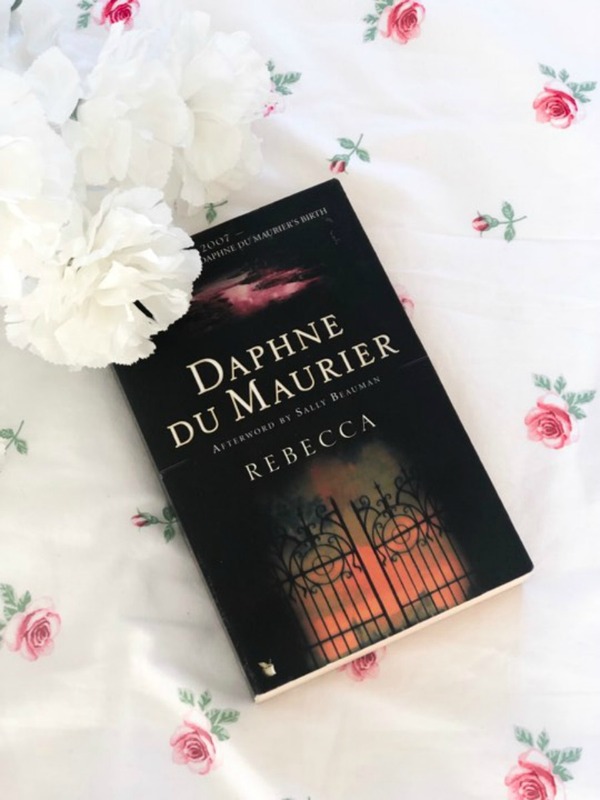 Wanting a new challenge and a chance to see something new of course she accepts and is whisked away from the South of France to the mysterious Manderley. There she meets the housekeeper Mrs Danvers who is shocked and surprised to find a new Mrs De Winter and tries her hardest to keep the memory of the old Mrs De Winter alive in the household. A hautingly beautiful tale the first line of the book is one that you just cannot forget. I just love this book so much and like I said it's one that I keep reading every year. The book has also been made into a film staring the beautiful Joan Fontaine so if you're not that keen in reading a book of this length I would definitely recommend the film but as with most things the book is 10x better so make sure you at least give this a try. I couldn't recommend this book more and I believe it's definitely one that you must read this year however it is a thriller and there are some quite scary bits in not just the book but also the film so whichever one you choose proceed with caution. 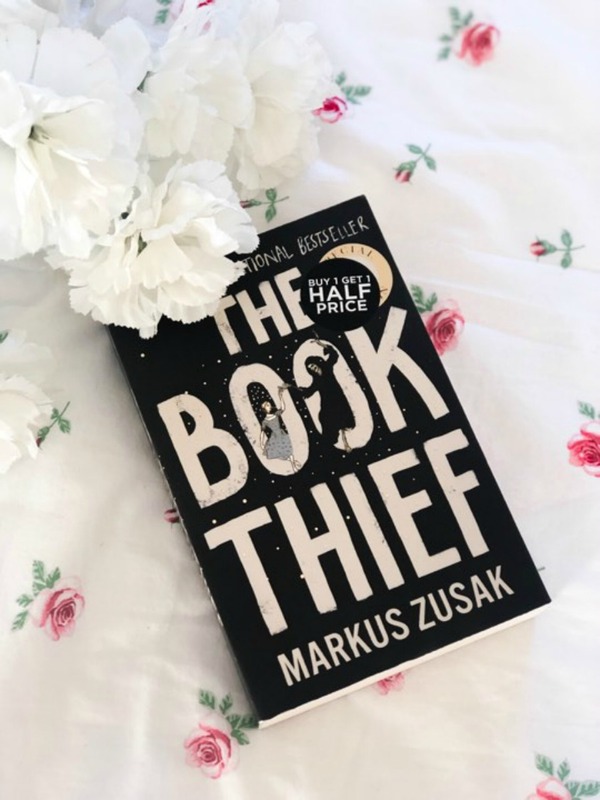 Unlike Rebecca where I read the book first before watching the film when it comes to 'The Book Thief' I actually watched the film first a couple of years ago before reading the book as my Dad had the blu-ray DVD so we watched that together on one of our family movie nights and I was in total awe of how amazing it was. It made me cry and is one of those films where even though I know what is going to happen I still cry every time. I remember a few weeks after I was browsing Waterstones for a new book and I saw this book with the 'Buy One Get One Half Price' sticker on. You know those moments where you just know it's fate. Yeah...this was one of those moments where I just knew I had to pick it up and I am so glad I did. Based in Nazi Germany about a year or so before the war it follows the story of a young nine year old girl called Liesel. 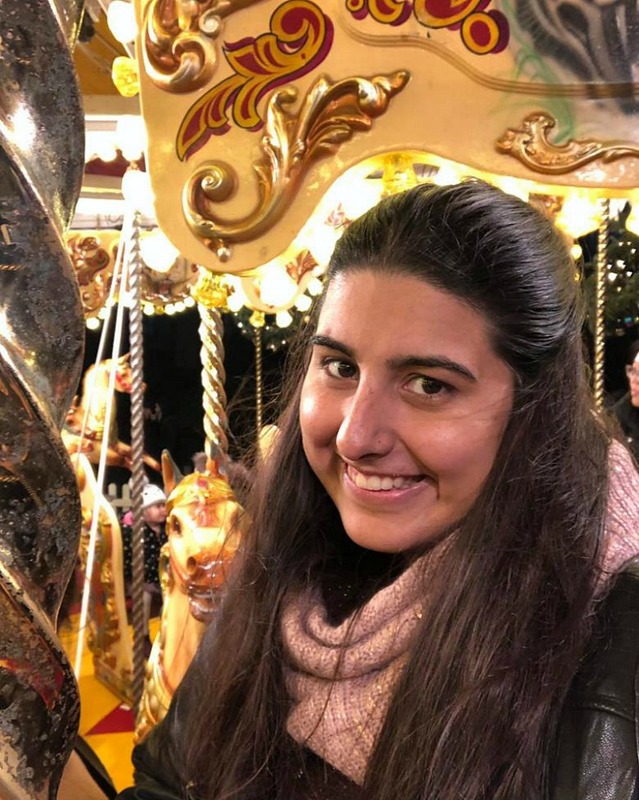 Her real parents have sadly been taken away to a concentration camp and she has moved to Himmel Street where she lives with a foster family after the death of her brother. The moment she arrives on Himmel Street is where the story really begins and follows the story of Liesel and all her friends and family on Himmel Street right up until the first bomb from the war drops. Narrated by Death this book is definitely not one for the faint hearted. It will make you laugh, cry and even make you angry on occasions but it is just such a beautiful story and again I've read the book about 3 times and watched the film about 5 since first coming across it. Again I'd definitely read the book first before watching the film but the film is absolutely incredible and the entire cast in the film are just exceptional so definitely make sure you give it a watch. So there we have it, just a short post from me today introducing you to two books I think you must have on your reading list this year. If you have already read these books/watched the films then be sure to let me know in the comments what your thoughts are. If you haven't heard of these books/films then I hope this post has inspired you to give them a try. What books do you think should be on my reading list this year? Stressed. Spell it backwards and it spells desserts. Doesn't sound as bad right? However stress is definitely not as tasty as it's made out to be sometimes. If anything it can be downright frustrating and mentally exhausting. Stress is something I often have to deal with. I get stressed out very easily and it is one of the most frustrating things to deal with. Currently in my life I have a lot of stress with work and things personally and very often it can turn me into a not very nice person. You're probably sat there reading this already thinking 'Fleur, it happens to all of us, you're nothing special'. 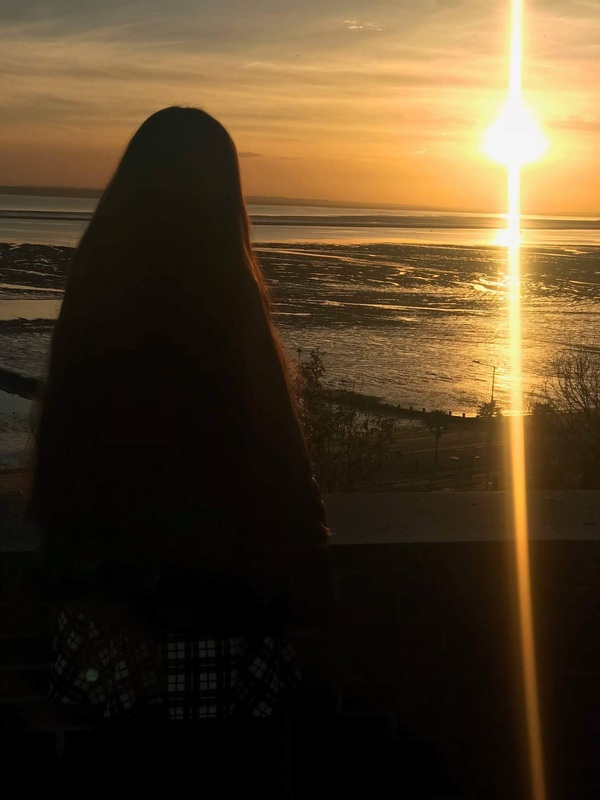 Believe me when I say I already know this but I think the main point of this post is that stress is definitely something that is a part of life and today I wanted to tell you all about how I deal with the stressful aspects of my life. I hope this is something you'll find worth reading and something that can help you if like me you're feeling a little stressed at the moment. There's just something so therapeutic about lighting candles. Two of my favorites at the moment include the ones in the above photo which can be found in Homesense if you're interested. I just find coming home from work, having a bath and then just lighting a candle and chilling out is one of the most pleasant things to do in life. I highly recommend both of these candles. Something that definitely calms me down. Music is just such a big part of my life and something that I rely on extremely heavily when it comes to my mental health in general. From musical theatre to chart music to old school sixties music I love music so much and I can spend hours just listening to music and I find not only do I calm down but my mood improves drastically as well. Keeping a journal is something that I have done since I was 12 years old. It's where I get all my thoughts and feelings out no matter what they are and it's just so therapeutic for me. I absolutely love writing down everything into a little book that I keep hidden from everything and everyone and it just helps me feel so much better. Getting everything out just means that I can take a deep breath and start afresh. If I stay in the house for too long I start to get serious cabin fever and it makes me more stressed out. Sometimes I just cannot be bothered to go out as I'm tired and I'd much rather watch a film and just have a really lazy day but very often this makes me feel worse. Getting out into the fresh air means I'm getting a chance to just go out and clear my head and start with a fresh mind. Sometimes I'd just take a walk in the park alone with some music in and it amazes me how much better I tend to feel. Whether this is a quick phone call or grabbing a quick coffee or even going to see a show (something me and my friends do a lot) spending time with the people closest to you is definitely something that can help you feel a bit better. That is why friends are there after all. I do a lot of shift work and this is one of the main things that causes me a lot of stress as it's not easy however on my days off I set aside a few hours to just have a bit of a pamper evening. I grab all of my favorite products, pop on some music, light a candle, shut the door and the outside world and just take time to show myself some love and care and pamper myself. I end up feeling so much better afterwards. Just setting aside those few hours to not speak to anyone and just focus on myself for a little bit is such a nice feeling and really does make me feel so relaxed. It will probably come as no surprise to you that I absolutely adore reading. It is one of my absolute favorite things to do and there is nothing I love more than getting stuck into a fresh new book. Getting lost in a completely different world for an hour a day and just forgetting about things going on for a bit is such a lovely feeling and really does make you feel a lot better and more relaxed. Today has been one of those days where I have been stressed to the max hence why I thought I'd write up this post. I guess I should have put blogging on the list but not everyone does that. I now feel a lot better. If you're feeling stressed out at the moment then I hope this post has helped and shown you little ways you can destress and keep calm. Let me know below your top tips for destressing. Do you do any of the things listed here to destress? Writing about beauty products seems to be a thing of the past when it comes to blogs recently. 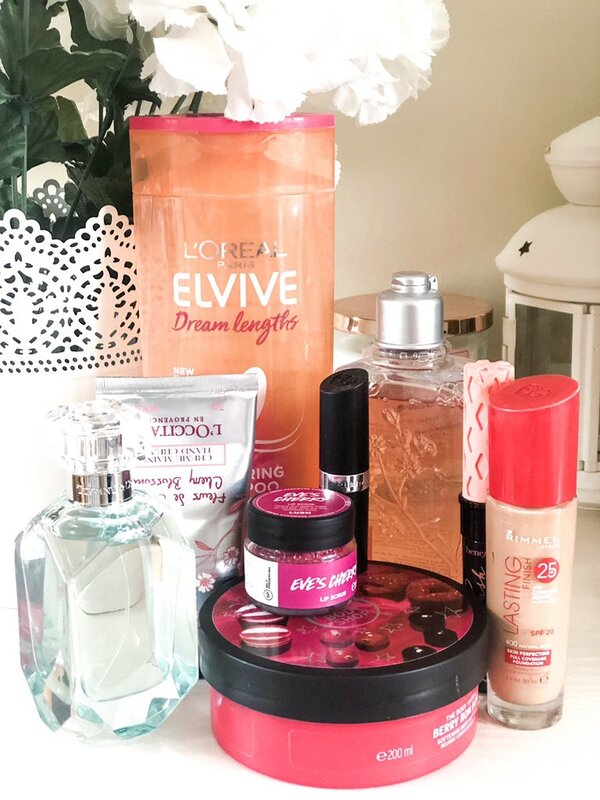 I used to love coming online reading a blog and finding out what beauty products people were using as it always used to inspire me to try out new products or even old products that I had bought but maybe not used yet. 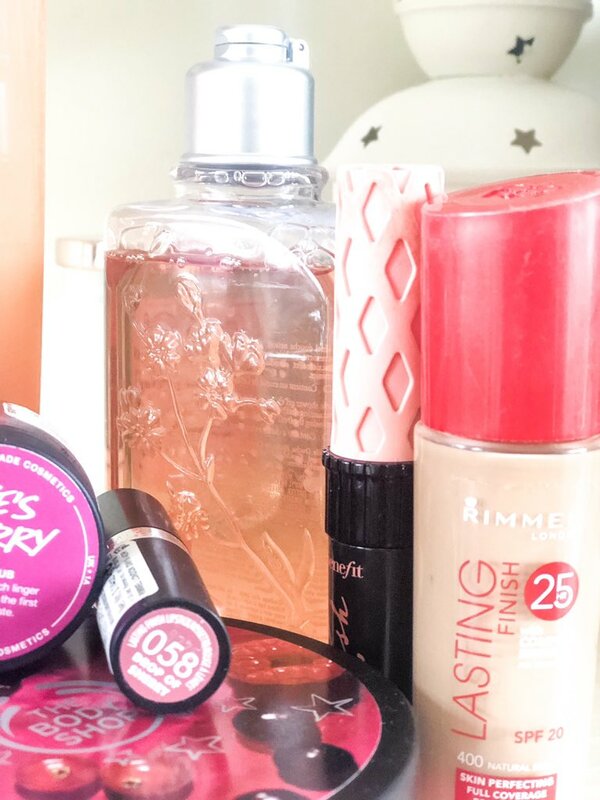 At the weekend just gone I spent the Sunday cleaning and tidying my room, especially my dressing table and I just felt inspired to share some of my favorite beauty products that I keep repurchasing at the moment. If you've followed me for a while now then you will know that I am not your typical beauty blogger that has drawers stuffed full of make up or skincare/beauty products. I find that I can only use one product or a range of products (skincare routine) at a time and it tends to be what I stick to. I do try to be more adventurous but it's something that I fail with as one...make up and skincare are super pricey and two...If I find a product that works for me I keep on buying and using it until it's either discontinued or they've re-branded it and it's no longer the same. Please let me know in the comments if you do this as well. 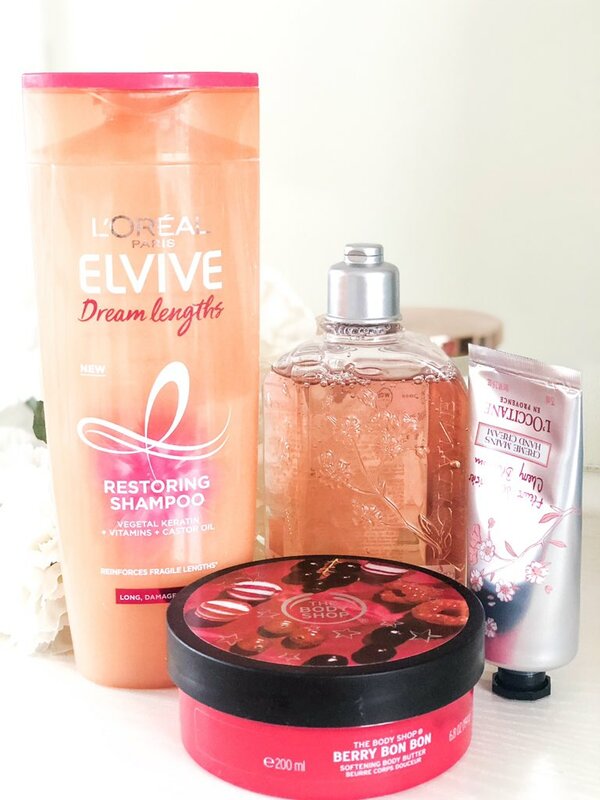 As you can tell from the photos above (which I know aren't the best but I love them anyway) there's only a select few products I keep reaching for and they are all products I highly recommend so keep on reading to find out my thoughts about each one. Rimmel Lipstick in 'Drop Of Sherry (058) - For as long as I can remember I have struggled with finding a lipstick that actually suits me. I have one of those skin tones where things can either look good or absolutely horrendous. There is just no inbetween and finding a lipstick that would suit me was definitely something that I struggled with. Lipstick is something I have to wear for work and I'm not kidding when I say it took me a good three years to finally find a shade that doesn't make me look like a clown. First of all the name is just super cute and the colour payoff is amazing and the perfect colour for every single season. The purpley read makes it the perfect lipstick no matter what the weather. I find the lipstick it is pretty much as the name suggests...it adds a beautiful colour onto your lips with a touch of shimmer to it and the amount of shimmer is just right and by that I mean..well...you don't end up looking like a disco ball put it that way. I think the lipstick photographed is my 8th repurchase I just cannot get enough. 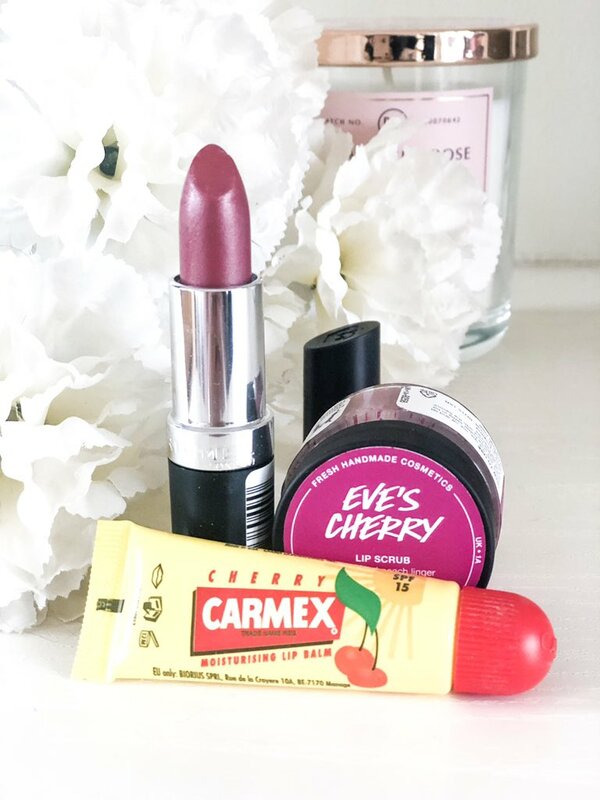 Carmex Moisturising 'Cherry' Lipbalm - This is one of the few lipbalms I just absolutely love. First of all the packaging is super cute so you'll always find it in your handbag as it'll stand out you, secondly it smells super gorgeous and like fresh cherries and thirdly it really does work. I find that when you apply it you get like a tingly sensation on your lips and this too me means that it's working. Winter is super harsh on my already horrendously dry skin especially on my lips. When I was ill I could actually peel the skin from my lips they were so dry but this adorable little tube of lipbalm has definitely helped my lips a lot. Definitely one I recommend. 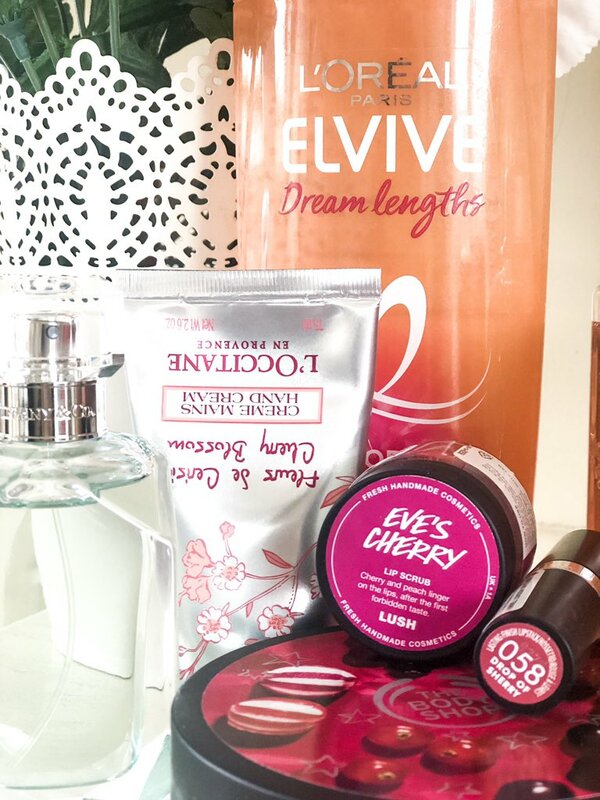 Lush 'Eve's Cherry' Lipscrub - Lipscrubs have always been a big part of my skincare routine until a couple of months ago when I had run out and hadn't actually repurchased any due to my nearest lush being about 40 minutes away in central London. A few weeks ago I was out with one of my best friends and I decided to pop into lush to restock up. Lush lipsrcubs are just amazing for removing the dead skin on your lips. Although not cheap at £6.50 a pop I personally feel like it's worth it as not only does it leave your lips feeling super soft; they also taste pretty good and the packaging means it looks super cute sitting in your bathroom cabinet or propped up on your sink. L'Oreal's Dream Length Restoring Shampoo - This shampoo is incredible. I am a huge lover of L'Oreal's range of haircare products and this shampoo is no different. It smells just incredible and I find it really nourishes my hair and get's rid of all the oils and dandruff in my hair which is something I suffer with. I have really long hair (not even an exagerration I can practically sit on it at the moment) and I just find that this shampoo really helps to protect, nourish and hydrate the ends of my hair and not make them look as straggly which can be quite an awful look. It also leaves my hair feeling and smelling super clean, fresh and fruity which I really like. Definitely a range I would invest in as in my opinion it's one of L'oreal's best. Berry Bon Bon Body Butter* - If you can't already tell this is from The Body Shop. I absolutely love the body shop body butters and I do believe this is a scent they bought out for the festive season that's just past and I am beyond obsessed. I actually received this as a gift for Christmas from my friend Beki and I just love it. I just find these are the perfect body butters for nourishing your skin during the winter month as the butter is a very thick consistency. It's one of those moisturisers that does take a while to sink into the skin but when it does it's worth it because you are left with super silky skin and you also smell incredible. My local body shop had this in stock still the other day (I have no idea if this was primarily for the Christmas season or not) so I stocked up anyway, just in case. Not going to lie this is probably a body butter to stay away from if you dislike sweet scents as this is quite strong. If you are like me and absolutely love sweet scents then I highly recommend it as it's incredible. L'Occitane's Cherry Blossom Shower Gel & Hand Cream* - Again these are products that were gifted to me for Christmas by my cousin and they are absolutely incredible. 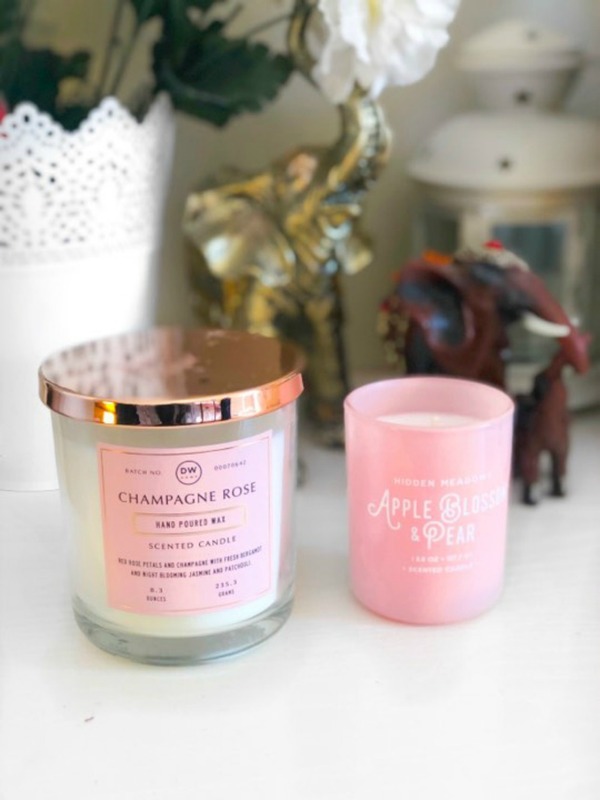 I'm not really a floral scent kinda person (ironic considering my name is Fleur, which is also the name of these products - coincidence right) but cherry blossom is one of the few floral scents I love. Both of these products are just so super hydrating and leave your skin feeling super nourished as well as smelling incredible. I have nothing else to really say about these products except I would highly recommend them, especially the hand cream as it's perfect handbag size and even travel friendly so perfect for your hand luggage if you're travelling. 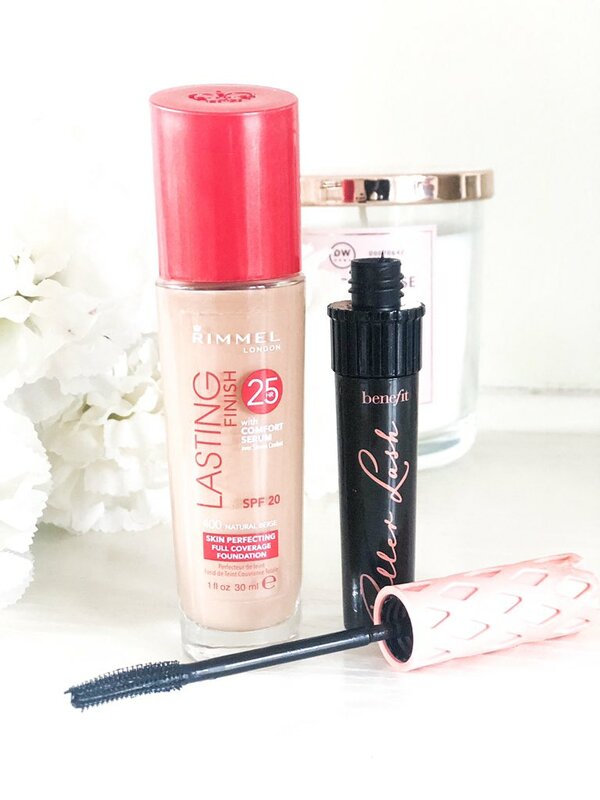 Rimmel Lasting Finish Skin Perfecting Full Coverage Foundation - I have never really been the sort of person to use a full coverage foundation as I prefer a minimal coverage however for work my skin and appearance has to look pretty much flawless and I am a huge fan of other rimmel foundations so I thought I would give this a try and I am absolutely obsessed. I've been using this foundation for about 3 years now and I find that it is always one I reach for as it's one of the best in the drugstore. I find that this foundation always evens out my skintone, blends really easily, leaves a good coverage but also looks really natural and not like you're wearing make up at all which I really like. I wear the shade Natural Beige (400) and it blends perfectly into my natural skin tone. If you're after a decent full coverage foundation but don't want to go high end then I definitely recommend this one. Benefit's Roller Lash Mascara - I first came across Benefit's Roller Lash when they included a sample of it in the magazine 'Elle'. This was about 4 years ago now and it's still my main mascara of choice. What I love about this mascara is how it separates the lashes whilst giving them a really natural pretty curl and still looking really natural. I find that I always look a lot more wide awake when I apply this. My eyelashes are already pretty long so I tend to use this mascara more for a curl and lift look and it definitely does the trick. If you haven't yet tried roller lash by Benefit then you are seriously missing out. One of the best products I have ever used. Tiffany & Co Eau De Parfume - Tiffany's is one of those brands you not only associate with Audrey Hepburn but also diamonds and sparkly jewels. No way would you associate it with a perfume. I think this was released towards the end of 2017 but I was never quite able to get my hands on it. I picked it up when I was in duty free at work and I am so glad I did. 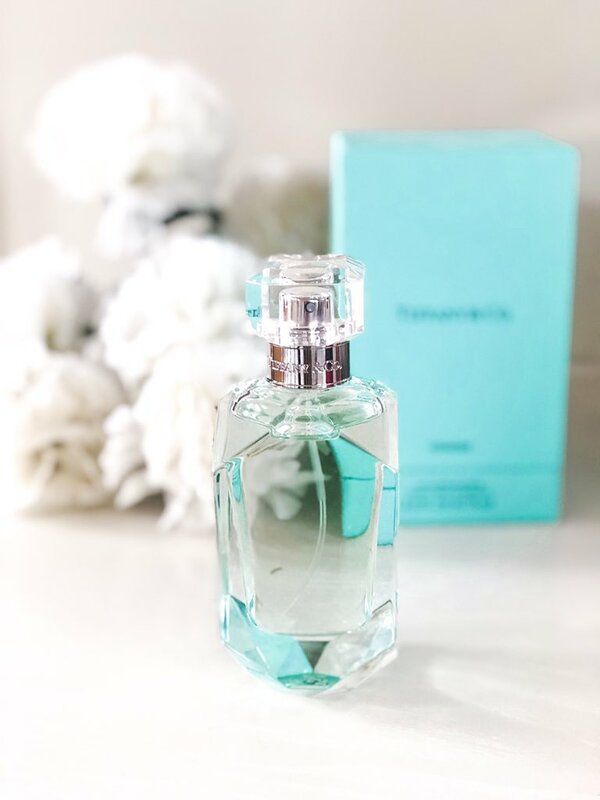 Not only is the bottle so incredibly beautiful with it's Tiffany blue tint and diamond shape but the scent is incredible. A very subtle fresh scent that I love saving for special occasions. It has a very gentle musky scent with warm notes of patchouli. The fact it comes in a signature blue box as well is just the icing on the cake for this perfume. Its gorgeous and just looks so beautiful sat on my dressing table. I'll definitely be repurchasing this once I've got through this bottle. (Won't be for a while though). So there we have it all the beauty products that I am currently loving at and can't stop buying at the moment. I hope you have enjoyed this post. Please let me know in the comments below if you use/are also loving any of the products mentioned in this post. What are some of the products that you keep repurchasing at the moment? Hey Everyone. Hope you are all well. So today is day two of three days off. Yes. You read that correctly. I actually have an entire weekend off and I am beyond ecstatic because it's very rare for me to have a weekend off and this weekend I plan on doing nothing but relaxing and blogging. If you have been following me for a while then you will know I work for British Airways. I have had this post idea drafted up for a long time now, probably about a year so I thought today why not share it all with you. Working in an airport means that we come across so many different situations on a daily basis. No two days are ever the same and it amazes me just how silly and ignorant people can be. This post is a bit of a light hearted one so I hope you enjoy reading about all the things that us as airport workers deal with on a daily basis. Grab a cuppa and enjoy. Being Asked About Free Upgrades. From being told sob stories to have people being fake nice to getting hit on by older men us airport workers get everything when it comes to people asking for free upgrades. The check in agent has absolutely no power in getting you that free upgrade. Nobody does. Free upgrades are pretty much a thing of the past. The only way of getting upgrades nowadays is paying the promotional airport upgrade price. So please don't think we are being awkward when you ask us to be upgraded for free, there is just nothing we can do. You wouldn't go into a coffee shop and ask for that to be free so why are airports any different? Unless the flight is empty then I'm sorry but I cannot do that. Someone has to sit in the middle and unfortunately this time it is you. If you desperately need a certain seat then PLEASE pay for it online or check in as soon as check in opens online to see the seat selection and select one for free. I have had people threaten to not travel if they don't have a certain seat and I'm sorry but if the seat that you want isn't available I cannot magic one out of thin air. We haven't been trained in that yet. A big part of working for an airline is having to know the different airport codes and flight numbers and after working for an airline for nearly four years it's safe to say that some of these are burned into my brain. It gets to that stage now where I even see them in number plates. Flight numbers are exactly the same. If I see three numbers together I can't help but think of a flight. Oops. Aircrafts have very limited overhead locker space and if the flights happen to be extremely full then we have to take your bag at the gate. We don't want to take your bag but in order to speed up boarding and not delay the flight we have no choice. Please don't abuse me for doing my job. From customers booking the wrong type or ticket to finding out they booked a ticket on the same date they've approached you but for a different month it always ends up being our fault. Thankfully we are able to resolve the situation even if it does mean a difficult conversation beforehand. I've been told this so many times in the past few years by customers and the answer is always yes. Yes it can. If you're late to the airport, or you're late to the gate and haven't been paying attention to the time then yes the plane can leave without you. Please keep an eye on the time, check the screens regularly or even set an alarm one hour before your flight so you know it's almost time to be at the gate. Probably one of my least favorite lines ever especially in the spring/summer. I have no idea about the weather Susan. I am inside an airport with hardly any windows nearby serving you. But yes I'm sure it's a bright, bright, bright sunshiney day outside. (Quote that song). Yes Brenda, I know you have an urgent meeting but if there is something wrong with the aircraft or checks are still happening on board purely for your safety then there is nothing we can do and you just have to be patient. Delays are frustrating, we all know that. However very often delays happen to ensure passenger safety. Please don't scream and shout at me for something way beyond my control. This very often means disruption and disruption means delays which is never ever good. Normally when there's weather issues precautions are taken but still you know it's going to be a busy and challenging day on days when the weather decides to take a turn for the worst. Believe it or not this happens on a daily basis and it's always somehow the airline that gets the blame. You book a ticket through an airline to fly you to your destination. We are not immigration. Please look on the relevant country's government's website or contact the embassy to see what you need visa wise as soon as you book the ticket or before arriving at the airport. From telling customers they have missed their flight to flights being cancelled to customers getting downgraded to customers not being allowed to use our lounge delivering bad news and having challenging conversations is something I have become a professional in. Please don't think I'm getting any enjoyment from it though. It is very important for us to be as firm as possible in delivering this information so we can quickly find some way to resolve the situation. Stay calm and we will help you. Ah. The joys of working in an airport. Seriously though I absolutely love my job and I wouldn't change it for the world. Like I said at the beginning no two days are ever the same and even if we do have challenging situations that can upset us a few days or weeks down the line we are always laughing about it as very often they are very silly situations. If you are an airport or airline worker yourself then I hope you have enjoyed this post. If you have ever had any challenging situations, whether you are a passenger or staff then be sure to leave a comment below as I'd love to know. What challenging situations do you face in your job role? 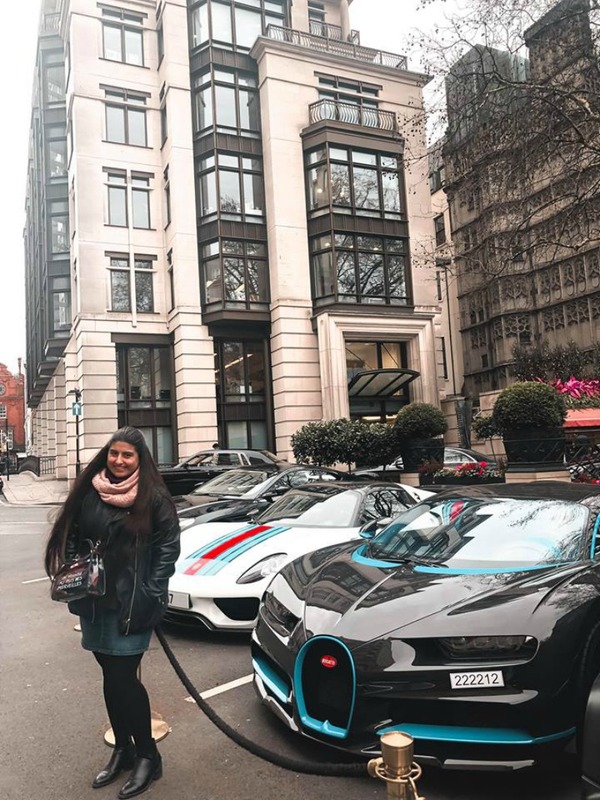 If you read my 2018 review post then you will know I absolutely love travelling. Last year I visited Berlin, Amsterdam, Paris & Sydney - although not a lot of places I was in Sydney for five weeks and it was incredible. 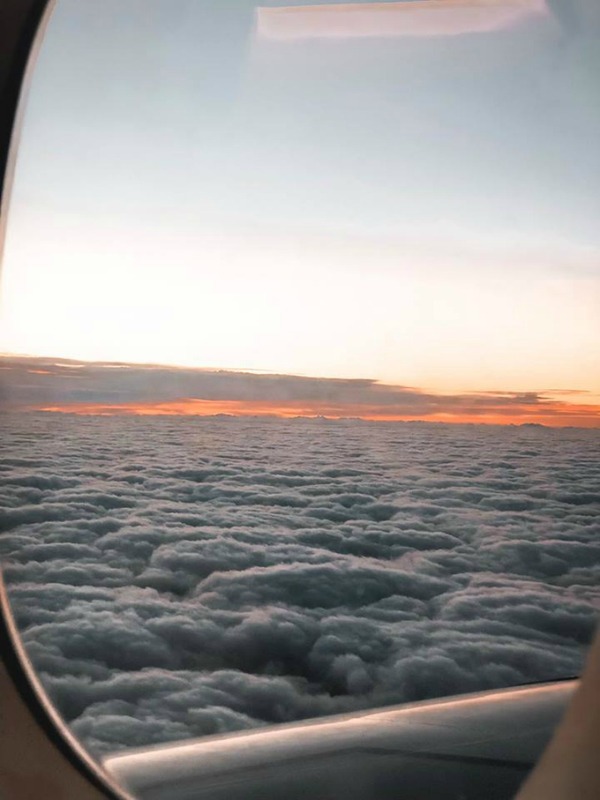 2019 is the year I want to travel to a lot more places even if that means on my own. I do work for an airline after all. What is the point if I don't reap all the benefits of that. There are a lot of places I want to try and tick off this year so keep reading to find out where I'm looking to hopefully visit this year. This is already happening but not until June. I booked Venice as a present for my Mum's birthday and I am super excited to go. Give me all the pizza, pasta and gelatos please and thank you. Italy has always been a country that has fascinated me. I just love everything I've read about the culture and the food of course is the main reason as to why I want to go to Italy. What better way to start things off than visiting Venice? If you have been and have any recommendations be sure to let me know below as I'm very intrigued. Ah yes, the city of angels. I have heard that LA is quite overrated and even been told by a few people to not waste my time going. HOWEVER, I do believe that it is one of those places you do need to see for yourself regardless of what people tell you about it. 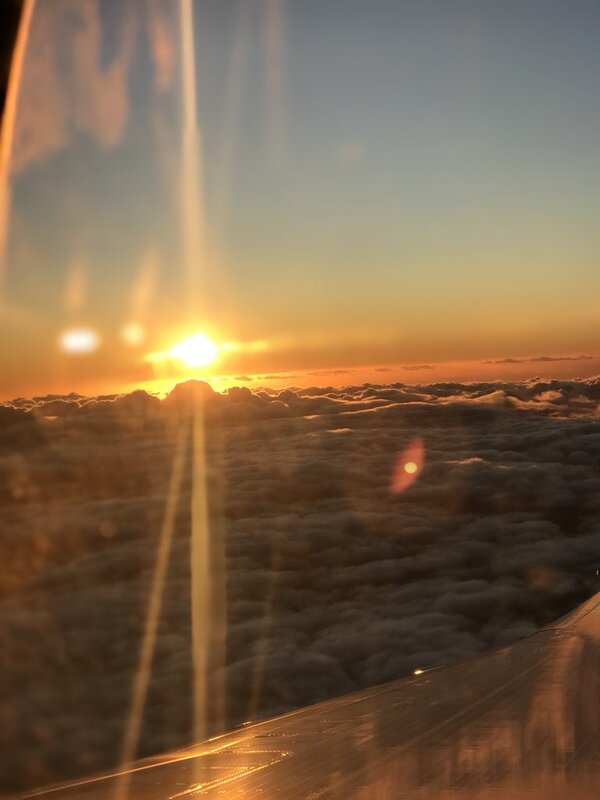 Working for an airline I see so many of my crew friends and even other airline's cabin crew post photos on instagram and they all seem to absolutely love it. Definitely one I'll try and visit this year if I can. I really want to go to Greece this year. I always have done but recently watching Mamma Mia has just made me want to go even more. It just looks like such a stunning place. I love Greek food and music as well and I know so many people who have said nothing but good things about Greece so it's definitely pushed me to go even more. This is another place that I have wanted to visit for absolutely years and years. I've just heard so much about the food, culture and atmosphere there and how it's completely different to your usual European countries. I remember sitting down one afternoon a couple of years ago and just watching a programme about Marrakech and I was just so surprised but how diverse the place seemed to be. Definitely one I hope to tick off by the end of the year. When I flew back from Sydney last year we went via Dubai and it's definitely a place I wish I could have seen more of. It looked stunning as we were landing in and the miracle gardens is a place I really want to go to as I've heard it's just stunning. I've also seen pictures from other bloggers who have been there and it honestly looks amazing. Hopefully it's a place I can see more of this year. I am also going to Mauritius in August to see my family and also to attend a wedding which I am definitely looking forward to. The last time I went was I believe 2016 so it will be good to go back again and spend some time with my family who I don't really tend to see a lot. So there we have it. Just a few places on the list this time. I didn't plan on making this post super long as I thought that it's not really realistic to have a million places on your list. If you've been to any of these places be sure to let me know your recommendations for places to stay or eat below as I'd love to check them out. Where are you hoping to visit in 2019? Hey guys. So if you follow me on twitter or instagram then you would have probably already seen that last weekend I took a trip to Elan Cafe. 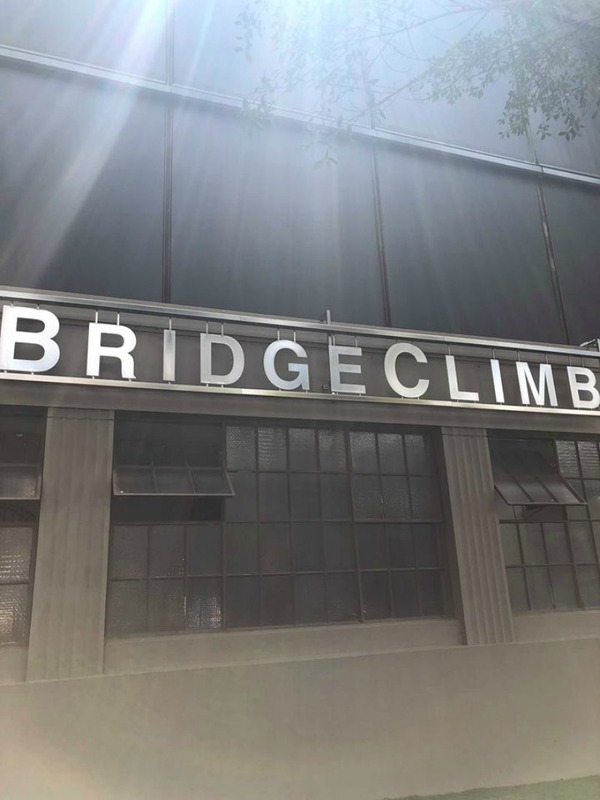 This is a place that I've wanted to go to for the past nine months I think so when one of my uni besties messaged me the other day and asked me if I'd like to go for a coffee and catch up of course I said yes. Thankfully we BOTH suggested Elan Cafe - great minds and all that. We chose to go to the Park Lane one. I think they have one in Mayfair and another in Selfridges. I think there is about 3 or 4 altogether. Keep reading to find out my thoughts below. We chose to go to Elan Cafe at around 11AM because we thought it may be pretty quiet then it being a Saturday and all but we were definitely wrong. We had to queue up for I believe it was a little over an hour before we were allowed in but it was definitely worth the wait. I thought it really lovely how because there was a little bit of a queue the staff at the cafe came around with little cups of tea for everyone which I thought was such a nice touch. How often do you get that when you're waiting? I thought it was a lovely start for our experience at the cafe. We were then finally shown inside out of the cold and into our seats and given menus. We were initially seated at a table for four and I remembered that there was a group of four behind us. Thankfully a couple on a table for two were just leaving so I quickly grabbed the waiter and explained our reason for wanting to move to the table for two instead. Even though we had a lot of bags and stuff with us it didn't make sense of us to hog all that space when they could get more people inside the cafe. They were grateful of the help as it meant we were helping them out as well as getting people out of the cold. I felt like I had done my good dead of the day. 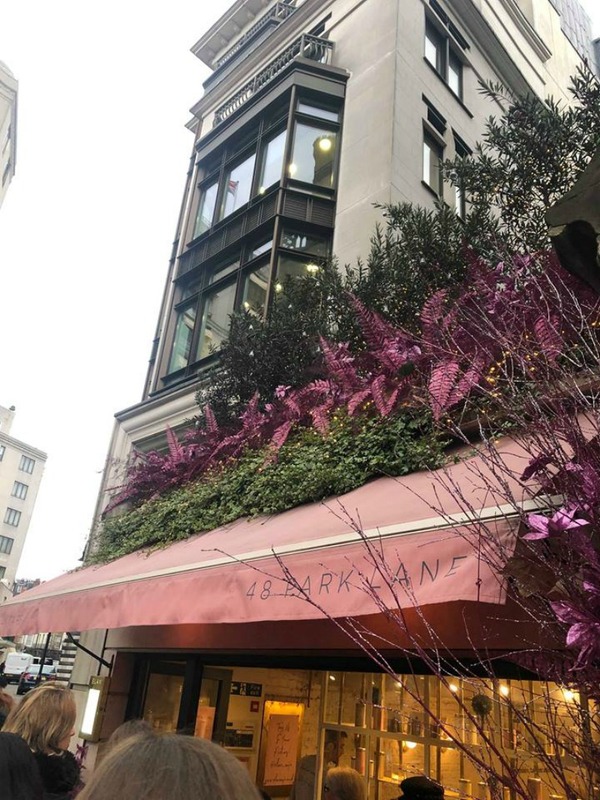 The Park Lane Elan Cafe is absolutely tiny so if you're considering this one be prepared to wait a little bit especially if you go at the weekends. When it came to finally ordering food and drink off the menu we were spoilt for choice. They have so much good food and it's so tasty as well. 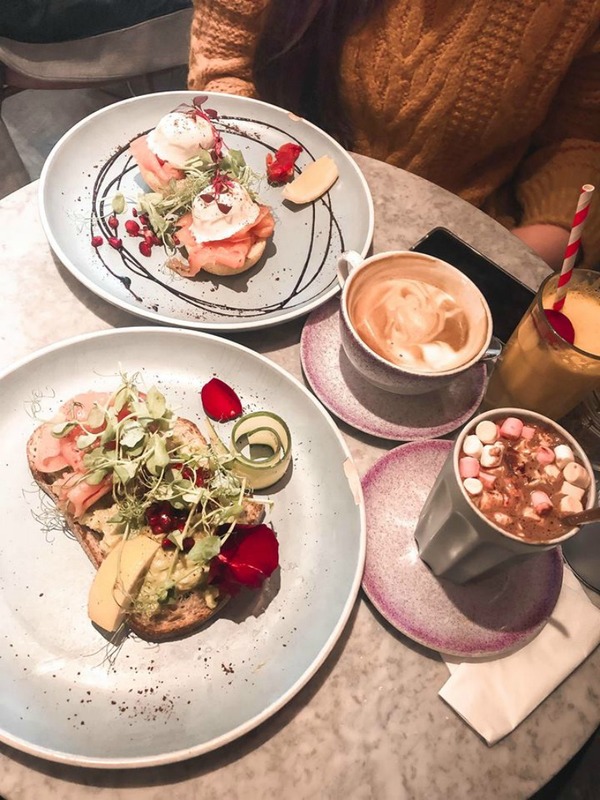 I ordered the avocado on sourdough with smoked salmon and had a hot chocolate on the side which was delicious. I was craving something cold as well so I then decided to order an apple juice which was honestly one of the freshest apple juices I have ever had. The hot chocolate was absolutely delicious however it was extremely sweet I think due to all of the marshmallows but it was still absolutely amazing. 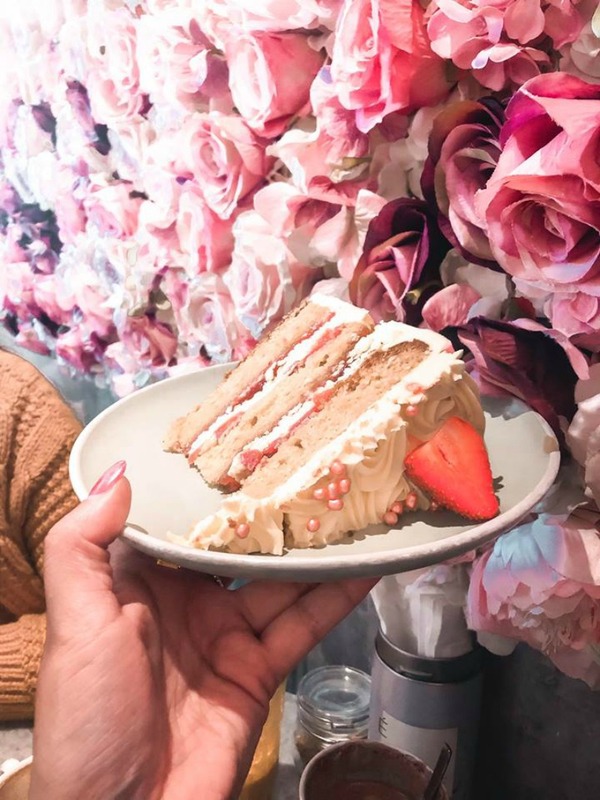 For desert we ordered a slice of the strawberry cake to share and I'm so glad we decided to share as the slice of cake is honestly bigger than my head as you can tell from the photo below. I honestly wasn't expecting it to be as big as it was and even between the two of us we were unable to eat all of it but it is definitely one of the best slices of cakes I have ever had and I highly recommend getting the strawberry one when you're at the cafe, unless of course you are allergic to strawberries in which case stay far far away as not only does the cake have strawberries as decoration outside it has fresh strawberries throughout the entire cake. 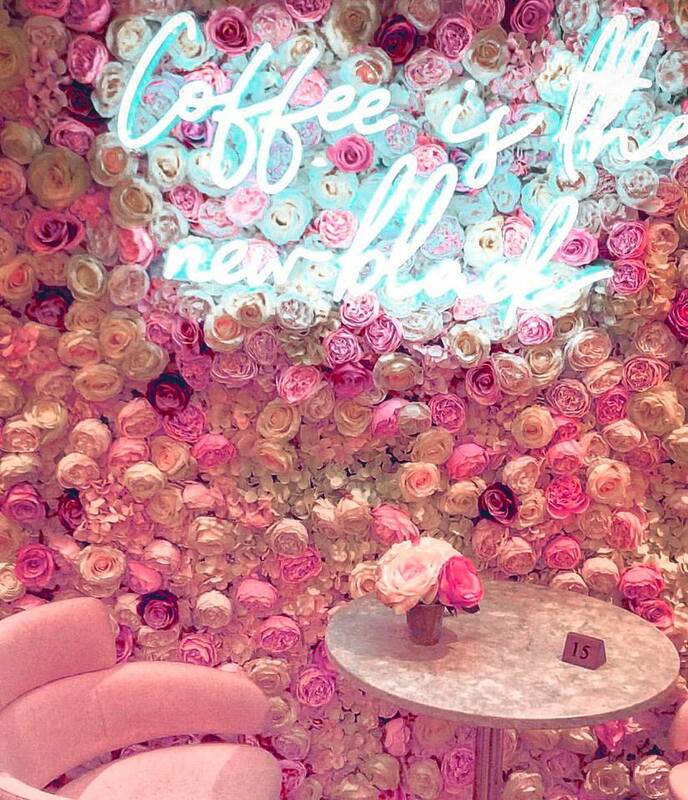 We then obviously spent the time taking photos in and around the cafe as it is just too pretty not to. 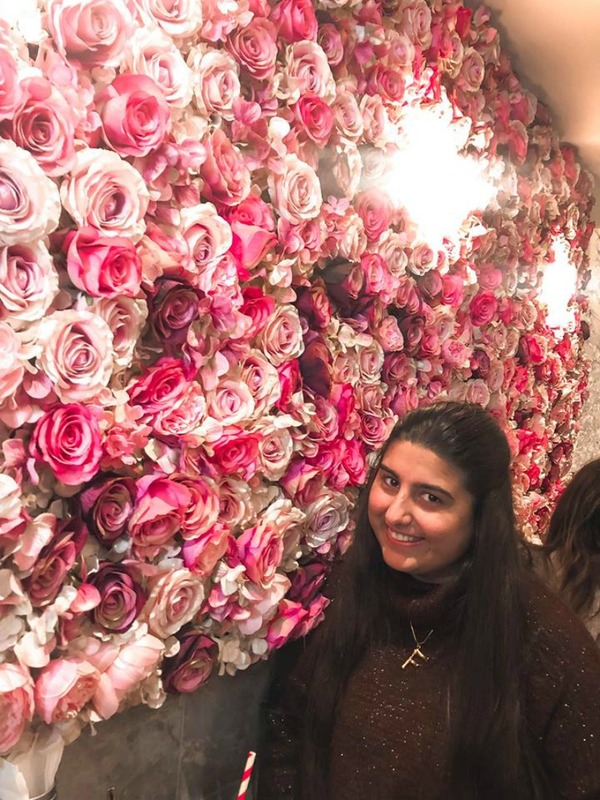 I mean, just look at this incredible flower wall above. I don't actually drink coffee but still thought it was super cute regardless. I definitely recommend Elan Cafe, HOWEVER I wouldn't come back to the Park Lane one as I think it's a bit too small for my liking. Apparently the others around are a little big bigger and have more space so maybe check them out instead if you're thinking of heading here for brunch. Elan Cafe is open from 7:30AM to Midnight so plenty of time throughout the day to head there for something to eat. 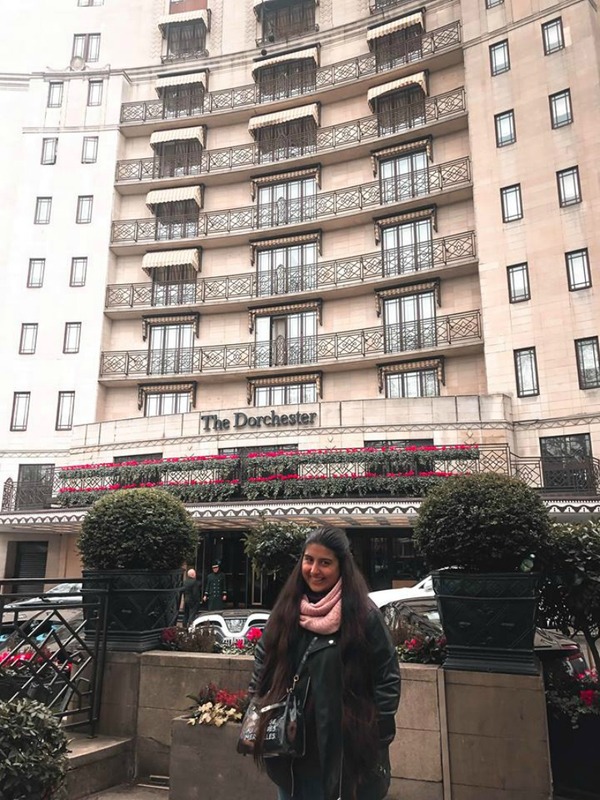 After we had been to Elan Cafe we too some photos outside as one of the most stunning hotels in London is located just outside Elan Cafe, The Dorchester. It is just so pretty. I love the flowers on the balcony as I think it adds a really luxury touch. This is one hotel I would absolutely love to stay in one day even though I do live in London. I also love the cars they have outside of the hotel as well. I couldn't resist getting a couple of photos there. 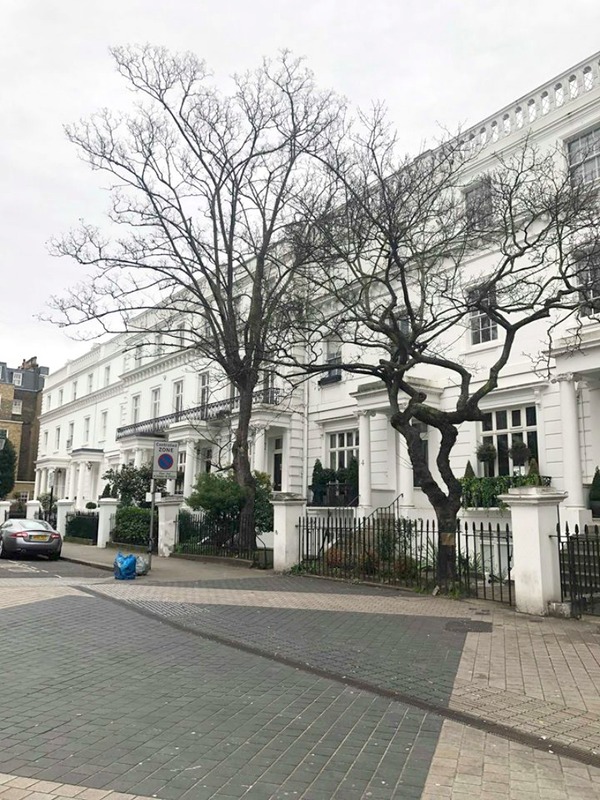 The whole area is surrounded by plants and flowers as well which just makes it a lovely location, especially as Hyde Park is just across the road as well. 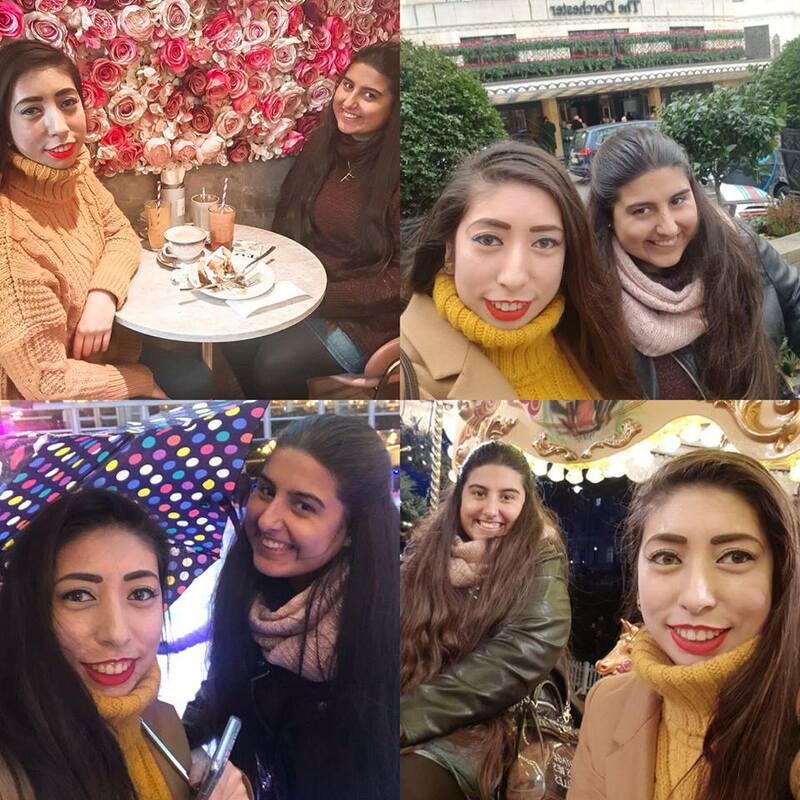 We then decided to take a trip to South Kensington as I really wanted to see the ice rink at the Natural History Museum before it gets taken down in a few days. I couldn't resist snapping a photo of these gorgeous houses in London. Just look how pretty?! I can see why this is such a popular location for photos, it is just beyond beautiful. 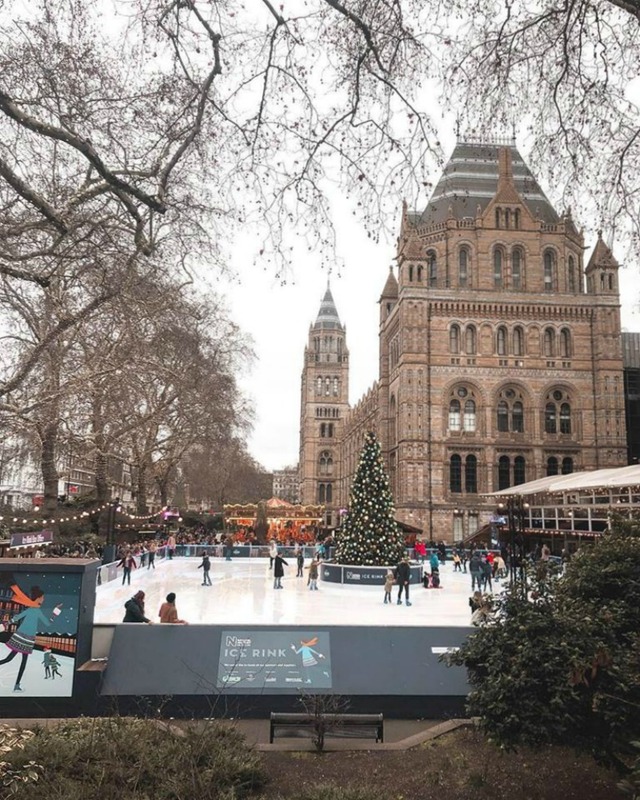 The Natural History Museum is a place I've spent a lot of time in growing up, I even ended up doing part of my university dissertation on it but I had never been to the ice rink before. 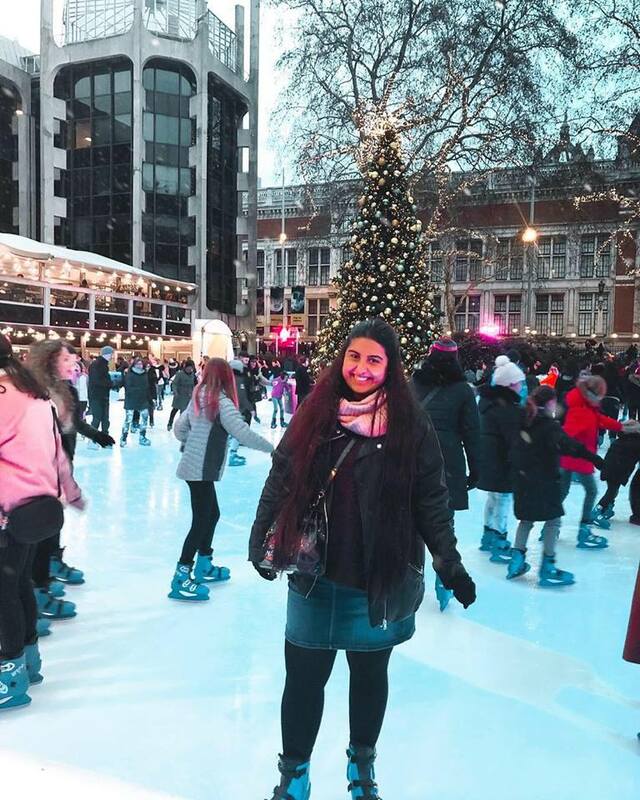 I absolutely love ice skating and really wanted to go but my friend who I was with didn't want to spend the next hour falling down. However, being the amazing friend she is agreed to let me go on whilst she waited and watched at the side. She took photos and videos of me as I was skating as well which I love as you all know what a hoarder I am for photos and memories. I didn't do the full hour though as I felt bad leaving my friend alone so I only did 30 minutes and then left. I think this is the best time to leave as well as it tends to get really busy in the evening so the earlier I planned on leaving the quicker I was able to get my shoes. It was so busy as well as it was a Saturday. My friend then wanted to go on the carousel and of course I couldn't say no. There's just something so magical about carousels no matter how old you are. I of course took a selfie on it. See the photos below that were taken of me & my friend Mia on this lovely day. It was so nice to not be working and actually have time to meet up, chill and just not have to worry about rushing about. After this it was time to head back home as my room basically looked like a bombsite and I had to tidy it up. I had such amazing day brunching, skating and just catching up with one of my best friends from uni. One thing we both realised is that we've been friends for nearly 10 years now. Next year will be 10 years since I started university. How crazy? But anyway, before I ramble on too much I hope you enjoyed this post and again if you're looking for brunch recommendations I'd definitely recommend heading to Elan Cafe. They have more than one branch so definitely do some research before you head off and if you are going at the weekend definitely expect some queuing. Thank you for reading & I'll speak to you soon. 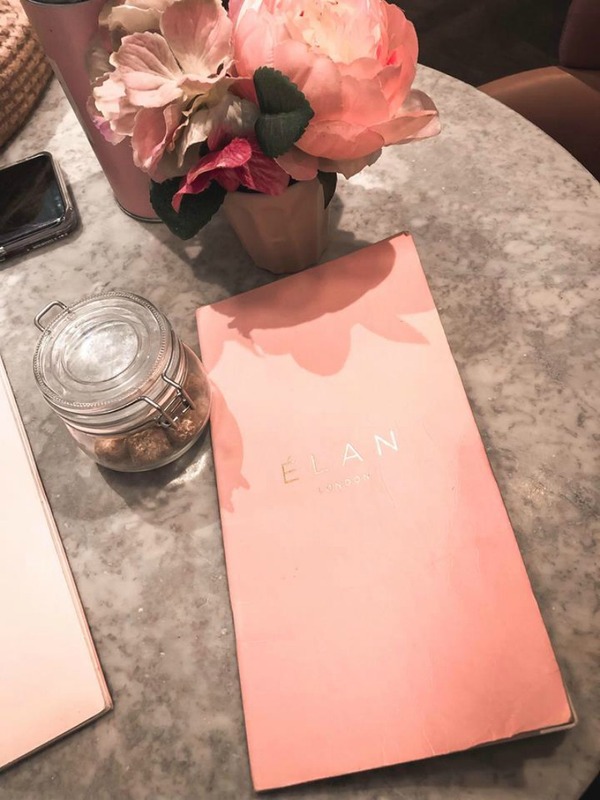 Have you been to Elan Cafe before? Hey Everyone. A very belated Happy New Year. I literally cannot believe it is 2019. I know we are now 15 days in and the novelty of a new year has kind of worn off but still...2018 seemed to have just flown by. Wasn't it only yesterday we were celebrating England getting to the semi finals of the World Cup and swooning over Gareth Southgate? Anyway, this is a post that I've wanted to hit publish on for quite a long time now but I've started the year off with a horrendous cold. I'm sure those of you reading this know exactly what I am talking about as it has been going around. I just haven't had the motivation to do anything but go to work, come back home to eat (even then it's been a struggle) and sleep. However, I am now back with my first post of 2019 and as you can guess by the title it's a look back at last year. I hope you enjoy reading this post. To be honest, not an awful lot happened at the beginning of the year. I guess you could call that one of the low points. It was just a pretty slow start to the year and I just remember working an awful lot to rake in the pennies again after all the Christmas spending. February was interesting as I went to a cocktail making class with one of my work besties. It was definitely one of the best nights I had last year. It was at the Goat Bar located in London's Chelsea and it was amazing. 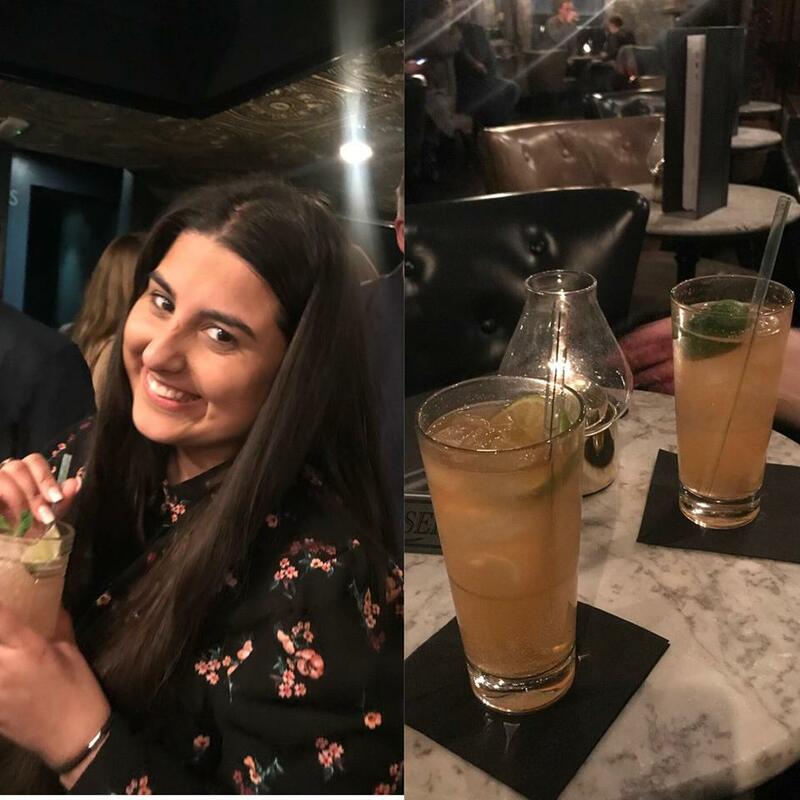 It's definitely something I would recommend as I believe they do cocktail making classes every week so if you're after a night out with a difference this is something I'd recommend looking into. 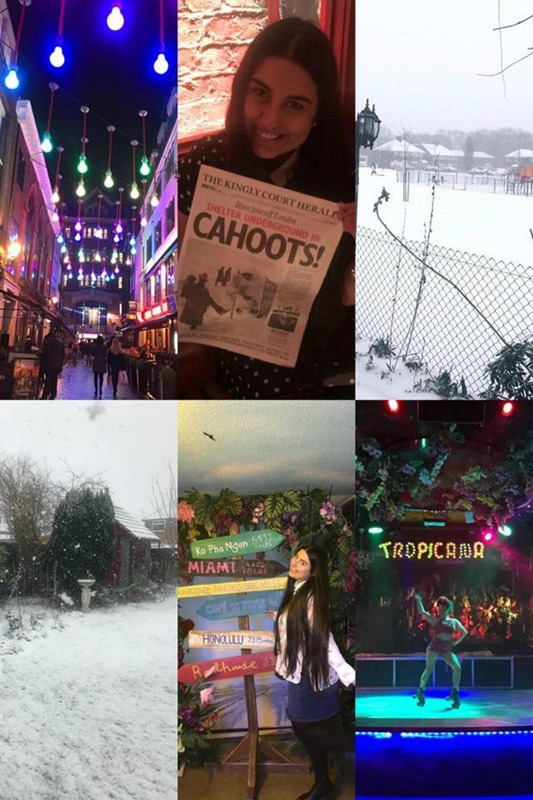 At the start of February I went to Carnaby Street and went to a bar called Cahoots which is a converted underground station and it's honestly one of my favorite places ever as it's just so unique and not a place you'd normally think of going to for your standard night out. I went here with one of my best friends at the start of the month and it was honestly amazing. End of February/March saw the good old beast of the east hit us as well. Snow absolutely everywhere and again I fell quite ill and had to take time off work. It was the first time I called in sick to work in roughly 3 years I felt that bad. Obviously tends to be this time of the year I get really ill. In March I started to get a little bit better so headed to Club Tropicana in London for my uni besties birthday. It was a fabulous night and again a place I'd recommend for a bit of a different night out but it is quite pricey so not one to go to in January if you're looking to save money. April was when the excitement of the year started to pick up. At the start of the month I went to a place called Duck & Waffle with two of my uni besties in London and it's definitely one of my favorite restaurants ever. Who knew fried duck and waffles go so well together?! A few days later I then went to Berlin, Utrecht and Amsterdam with one of my best friends, Beki to see a couple of shows. 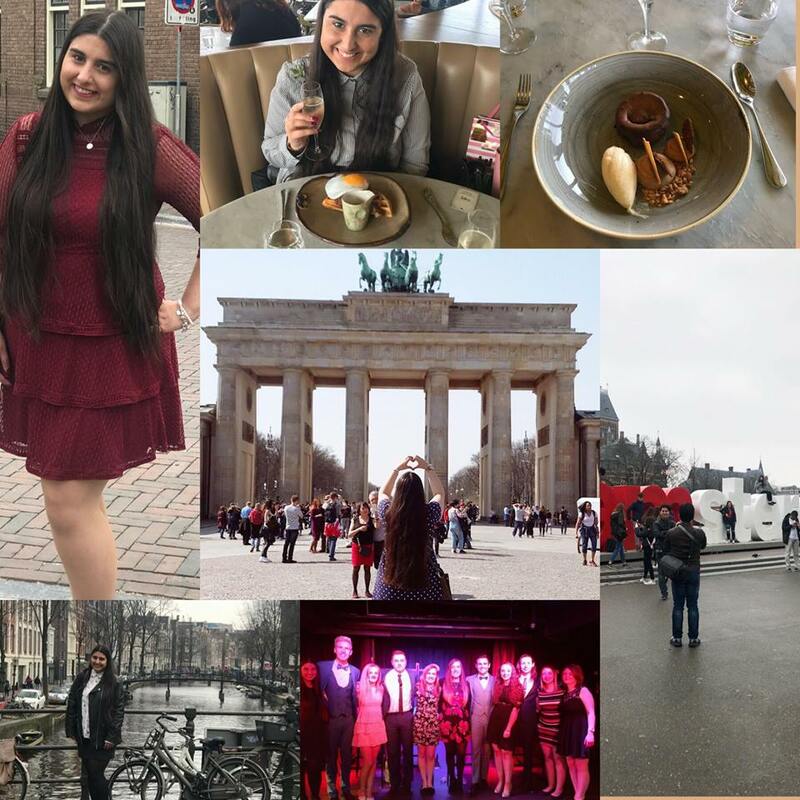 Berlin & Amsterdam are two places I've always wanted to go to and we managed to spend just a little over 48 hours in both places but we did manage to see and do a lot during that time. I definitely want to head back to Amsterdam some point this year as there is just so much to see and do there. Whilst we were in Berlin & Utrecht we went to see the musical theatre band Collabro perform as they were doing a couple of gigs out there. Quite far to go and see a band perform I know but web basically saw it as an excuse to travel more. Both of us have seen them enough times in the past but as we were going we thought why not go and support them at their international gigs as well. Do not judge! When we came back the guys did another gig at Pizza Express in Holborn in London and it was honestly amazing. That gig was one of my favorite shows of 2019 because it's where I met some people I can now call my best friends. Literally we speak everyday and even though we're from different parts of the UK we never really go a day without speaking. This month was honestly one of the worst months of 2018. Nothing bad happened, it was just so busy. I worked myself to death. I honestly think I had like 4 days off throughout the whole month. I worked nearly every day and I did so many 18 hour shifts. Not healthy at all but I needed the money/time off later on in the year so really I didn't have much of a choice. Some good things did happen though. My brother turned 25 years old and we just celebrated with family at home and it was just so nice to have some family time at least during this very hectic month. I've honestly been through my phone photo library and the only photos I can find from May are literally from my brother's birthday, that's how busy it was but it's fine because one horrendously busy month out of 12 really isn't bad is it? 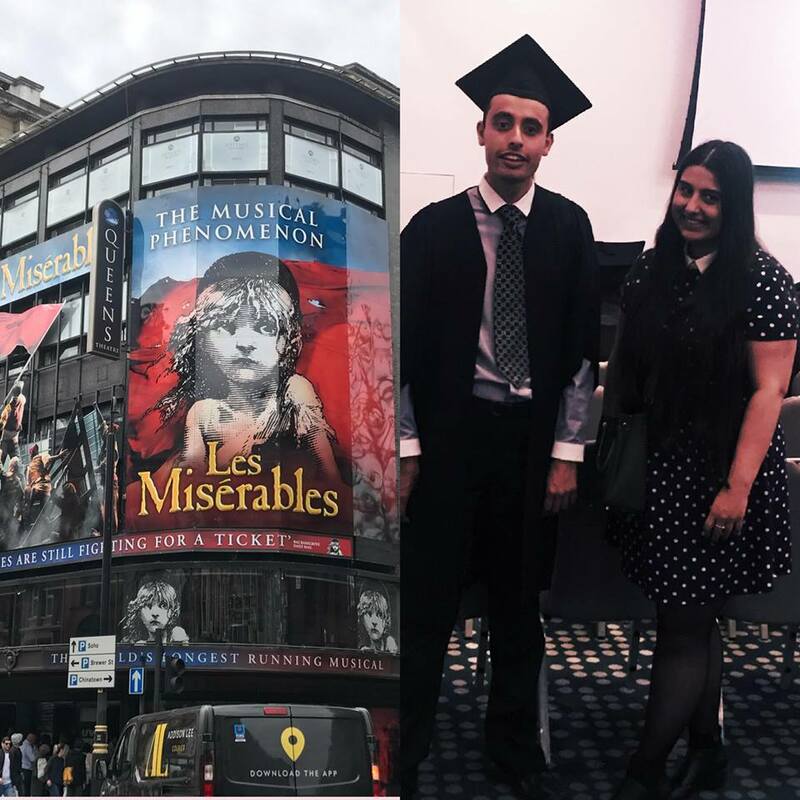 June was a quiet month but I did take a trip to the West End with one of my best friends to see one of my favorite musicals 'Les Miserables' at the Queens Theatre. I have seen this musical on more than one occasion now and the talent just blows me away every single time. I saw got to see my brother graduate from his 'Skills For Work' programme at the Hilton Hotel and I was so unbelievably proud of him. I don't really speak about my brother a lot but he has got learning difficulties so at the moment is doing different schemes in order for him to get a job. To see him graduate from one was beyond amazing and I am definitely a super proud sister. I really hope 2019 is the year my brother is finally able to get a job and that there are companies out there that are willing to give people like my brother who work super hard a chance. The month that London hit a heatwave. I didn't get to spend a lot of time enjoying it as I was working a lot due to having a holiday booked in August but I definitely made the most of my days off. 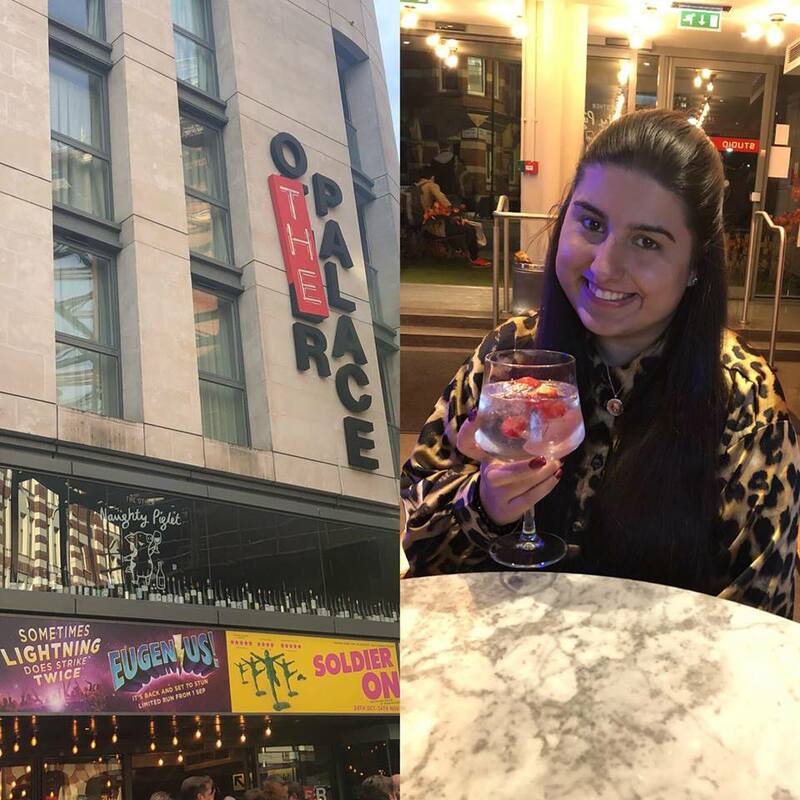 I went to see Wicked in London with one of my best friends and strolled around London in the sun enjoying the sites and taking in the sun. I tan very easily and when I got home my legs (not my arms cos they were covered) were two different colors. 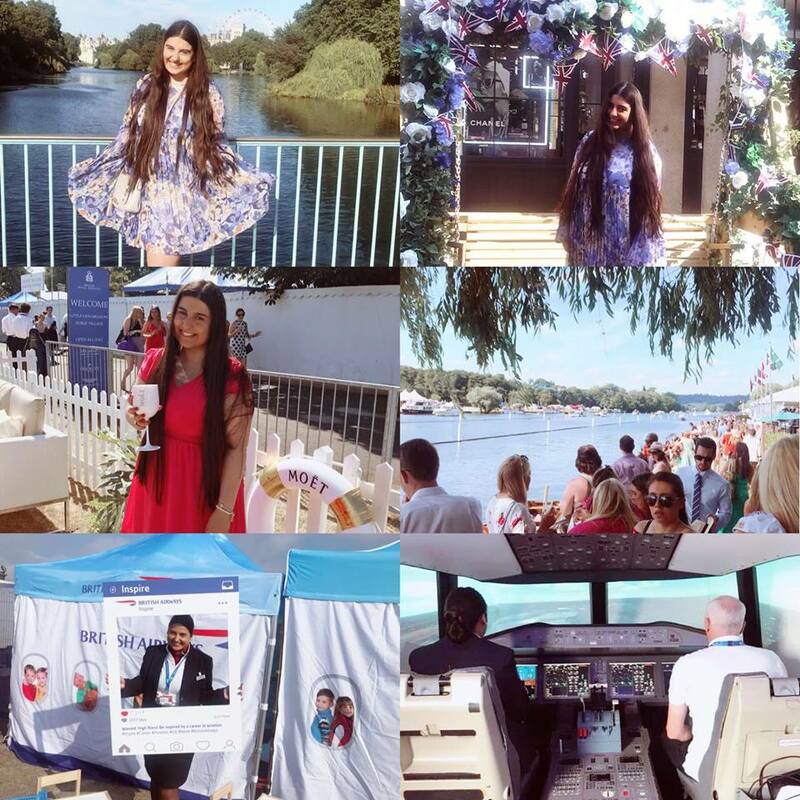 On my next day off in July I took a trip to the Henley Royal Regatta. If you've never heard of this, think Ascot but with rowing instead. Same concept with the whole dressing up and drinking as much prosecco as you like. This was the day I believe England got to the semi finals of the world cup as well so the atmosphere was incredible. At the end of the month I received an opportunity from work to go an represent BA (British Airways if you've been living under a rock and don't know I work for them) to go and work at the Farnborough Airshow. It was only a couple of days but hotel and meals were included which was amazing and it was such a good experience getting so see all the different planes and models and see the planes do tricks in the air. It was a million degrees though but it was so good to actually get out of the terminal and do something a little bit different. I finally ticked off a destination from my bucket list this month and finally got to go to Paris for the first time and it was everything I dreamed of and more. I have been to France in general about 18 times. It's where we always used to go for family holidays and it's a country that's become my second home in a way, however Paris is never somewhere we had gone. I absolutely love it. It's just such a beautiful place and it's definitely somewhere that I want to go back too as I still haven't been to Disneyland and that's something that I definitely want to do before I turn at least 30. This Paris trip was extra special as my Mum's sister from Mauritius was here staying with us for the summer so we took her to Paris as well which was lovely. I also took a trip up to Telford with my best friends to see Collabro at one of their summer shows but sadly this was cancelled on the night very last minute due to complications. Whilst it was sad to not see them at this gig it was nice catch up with my best friends, listen to music and have a natter over pizza and prosecco especially as we don't tend to see each other that much. 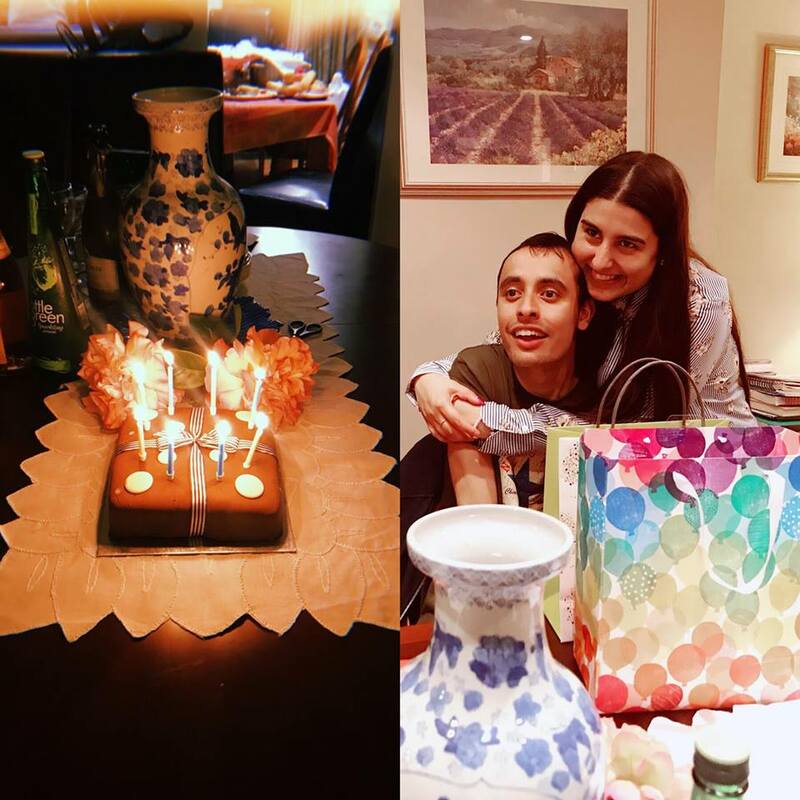 I also turned 27 years old on the 24th August and like with my brother's birthday I just had a quiet day at home with lots of food, drink and family time. September honestly feels like a blur. I actually cannot remember a lot of what I did that month. I saw friends, went to a few gigs and pretty much worked to get time off for my holiday to Australia end of the month. I did get to see a new musical (yes I'm obsessed with the theatre) which was Eugenius The Musical at the Palace Theatre. It was honestly one of the best shows I've ever seen. I hope it comes to the West End eventually. Other than this the rest of September and beginning of October was spent planning my trip to Sydney for the end of the month. On the 23rd October I finally got to go to a destination that has been at the top of my bucket list since I was about 7 years old. Australia. For years as a kid I watched shows based in Australia (Neighbours, Home & Away etc) and I was always so fascinated by the country. Fast forward a few years and I found out I have a half brother who actually lives there. Fast forward another 5 years or so and my Dad & I finally decided to take the plunge and book the holiday of a lifetime. We only visited Sydney in Australia as that is where my brother is based but it has quickly become one of my favorite ever places with so many memories attached to it. 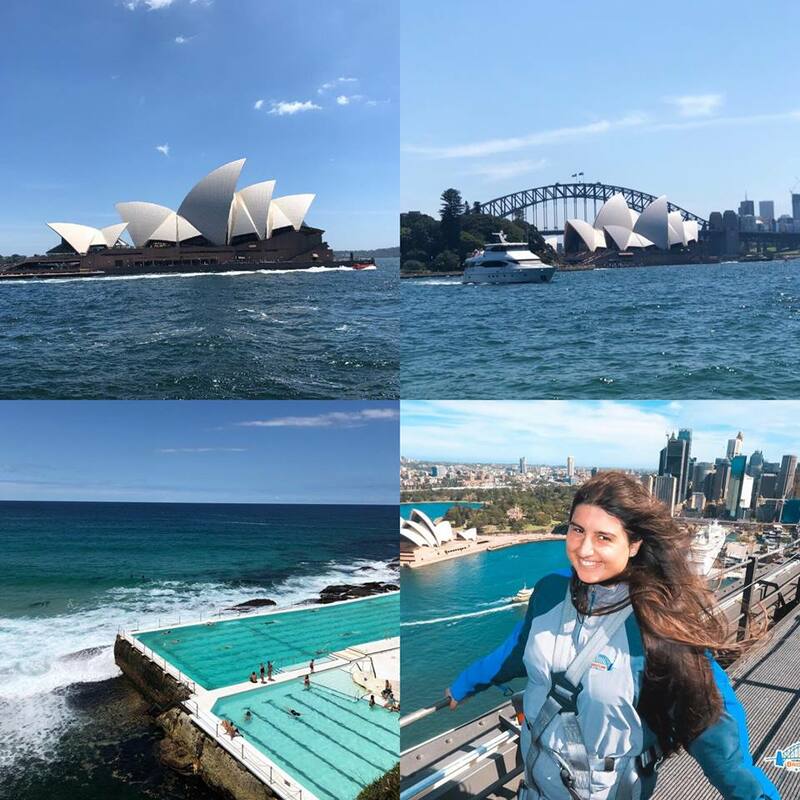 We did stay in Australia so much but not only did I get to meet my brother, sister in law, niece and nephew, I got to explore so much of Sydney and even climbed the Sydney Harbour Bridge (Separate post about that coming soon). After this trip I absolutely adore Sydney and it is definitely a place that I hope to return to in the future as well as explore more parts of Australia when I am out there. Finally at the end of the year. The start of December basically consisted of me recovering from the horrendous jet-lag that hit after landing back from Sydney. Before this trip the longest time distance I had was 4 hours and that is Mauritius. 10 hours is a completely different ball game and took me ages to recover from. I only had about 4 days to recover before I was back at work but I have to admit that getting back into a routine definitely helped. My Mum and brother were away during December in Mauritius so it was a super busy month in terms of keeping the house in tip top condition, working, putting the Christmas decorations up etc. On the 23rd December my cousin who is from Mauritius but is currently studying and living in France came over with her boyfriend to spend Christmas with us. My Mum then arrived back from Mauritius on Christmas Eve (Thankfully - because of the whole drone situation at Gatwick we were worried she wasn't going to make it but she did). We had a lovely Christmas Day with the whole family eating and drinking until we couldn't move anymore. Then it was time for New Year. 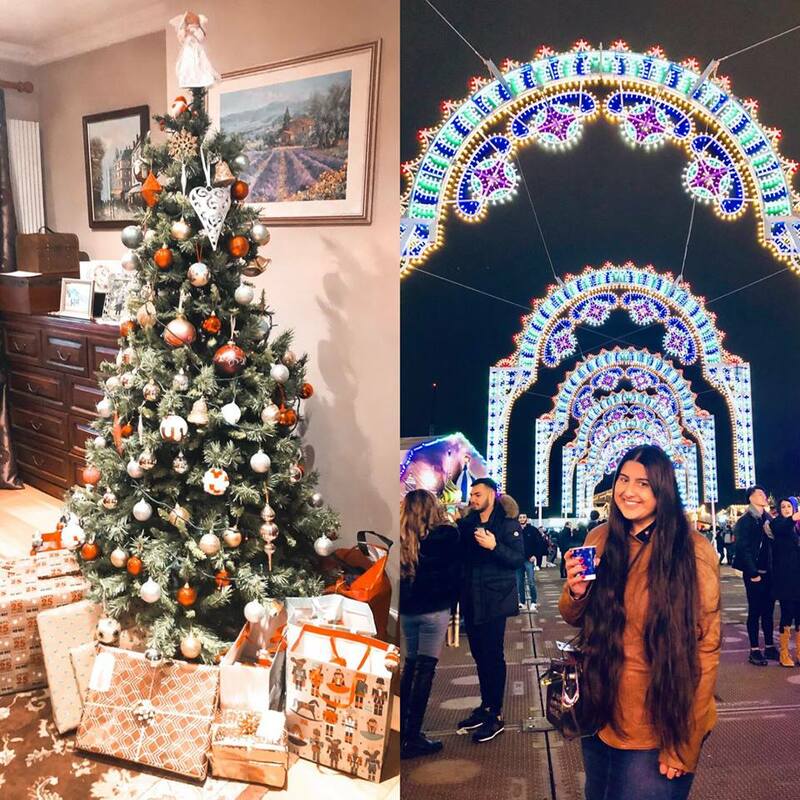 Again I'm really not the sort of person that's into clubbing or going out and getting wasted on New Year so we went to Winter Wonderland on New Years Eve during the day and had a lovely time before coming back home and seeing in 2019. Wow, what a long post. If you got to this stage then seriously thank you so much for reading. I hope you enjoyed having a look back through my 2018. 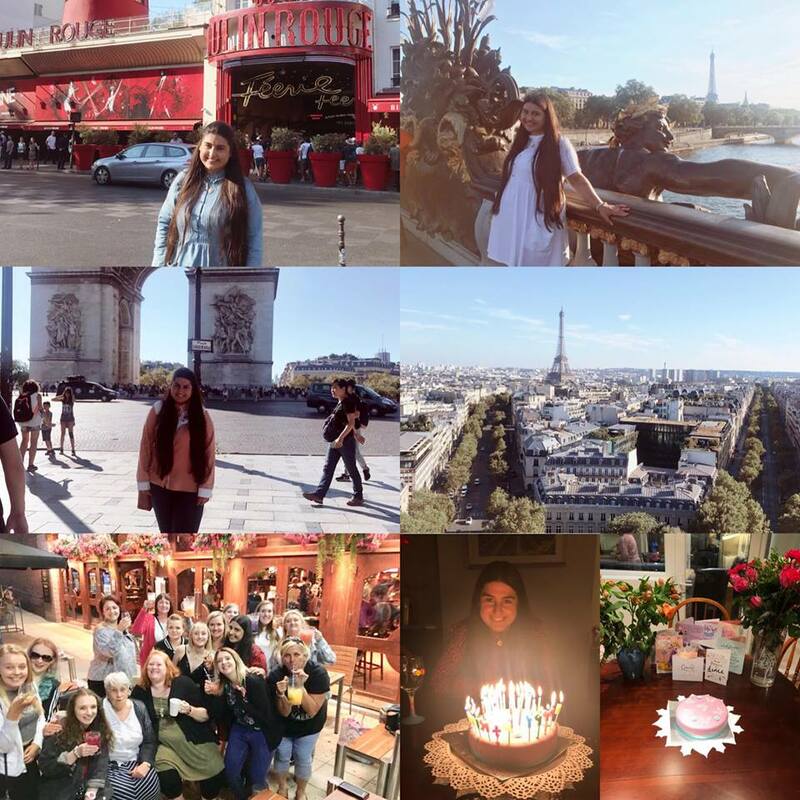 After writing this post and looking back through the photos it was a really good year and I definitely made so many memories for life. I've gone into 2019 with some of the best friends I could ever wish for. Charlotte, Katie, Beki, Nicola, Sophie, Elly, Lisa & Emily - if you're reading this thank you so much for a wonderful year. Here's to more fabulous memories in 2019. I've also got a stable job that I absolutely love, however difficult it may get and my family around me even though we do want to kill each other at times. What more could I ask for? I hope the start of 2019 has treated you kindly and if it hasn't, it will get better I promise. 2018, you have been fabulous. Here's to another year of friendship, travelling and making memories to last a lifetime.